The pace of life in Saigon can sometimes be fast, but a slow-paced tour is still the best way to explore the city. 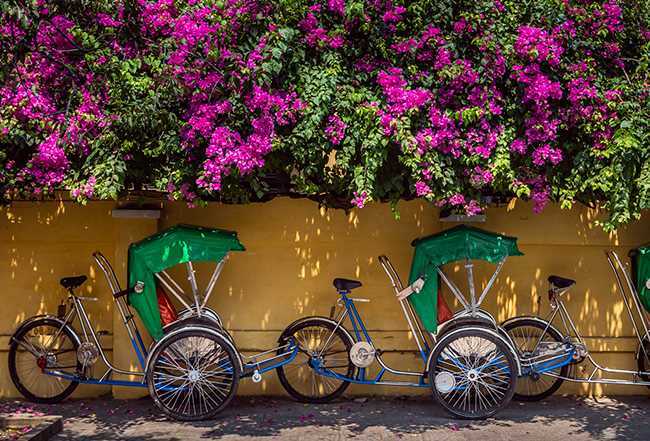 Travelling by xich lo (cyclo, or cycle rickshaw), uncover the secrets of Saigon’s tangled alleyways – from hidden pagodas to local coffee shops and ornate colonial landmarks. Departing from The Myst at 7:30 a.m., the tour also takes you to the War Remnants Museum and Reunification Palace, a sobering glimpse into Saigon’s turbulent modern history. Your xich lo driver will return you to The Myst at 11 a.m.
Price: USD 50 per person (minimum two people) for a private tour.